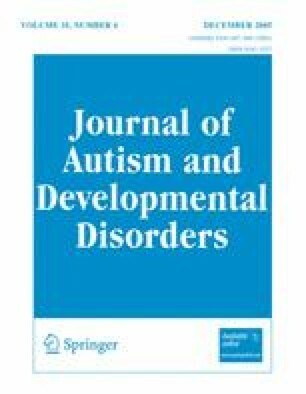 This study investigated the relationship between theory of mind and executive functioning in children with autistic spectrum disorders through a training study. Ten children were trained on theory of mind, whilst ten were trained in executive function. Seven children were assigned to a control group, receiving no intervention. Training programmes were administered individually, lasting for 25 minutes per day for 5–10 days. Children were tested before training, after training and at a two-month follow-up. Significant improvements were seen in performance on theory of mind tasks in both trained groups, whilst the control group showed no improvement. No improvement on the executive function tasks was seen in any of the groups. The implications of these findings are discussed. The work reported here was carried out by Naomi Fisher as partial fulfilment of the requirements for a doctoral degree, during which she was supported by a Medical Research Council studentship.